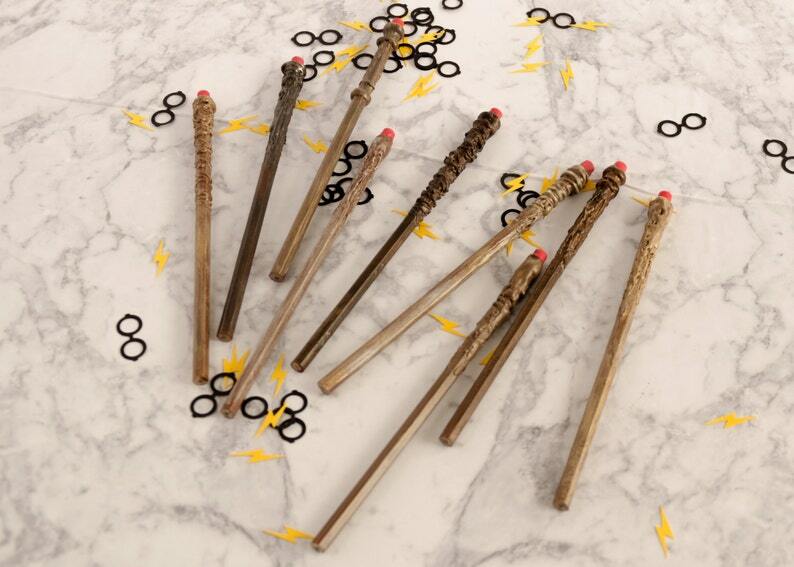 These super fun wand pencils are inspired by the wands in Harry Potter. They are hand modeled, then hand painted painted with 2 or more layers of paint to highlight the details. Each pencil is individual and handmade and is selected by my. The Wand I choose will be selected just for you, just let me know what colour range you would like. Dark, medium, light, or gold, which can be seen in the 3rd photo. All of them contain gold paint in their finish, but the Gold ones have more of a gold finish. Made with #2 HB Pencil. This Listing is for 1 pencil.